"Our goal is to provide educators with tools that are applicable to a wide range of activities," said Scott Evans, marketing manager of Califone. Students need tools that enable dynamic learning experiences to excel in the digital era. In support of this idea, Califone International, a leader in the design, development and manufacturing of audio equipment for use in education, announces the release of the Bluetooth® Jackbox and two new series of headphones and headsets, which will feature newly enhanced CaliTuff™ cords. "Our goal is to provide educators with tools that are applicable to a wide range of activities," said Scott Evans, marketing manager of Califone. "These new products are tailored to those who would like to easily incorporate multimedia lessons into curriculum." 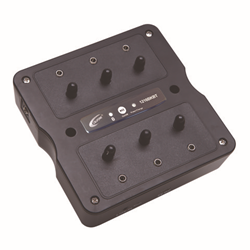 "Califone has a longstanding history of being the first to introduce new learning tools into the classroom. This addition to our jackbox line will provide the ultimate flexibility for students to collaborate on group projects," Evans said. "We designed a unique product that's engaging for students and makes it easy for educators to leverage existing technology such as tablets." New to Califone's headphone and headset lineup, the 1025 NeoTechTM and 1017 NeoTechTM Plus products are compatible with computers, Chromebooks and mobile devices, making them ideal for a variety of uses. Complete with in-line volume control and comfortable ear cups, each series provides Califone durability with quality sound. These headphones come equipped with CaliTuff durable cords, which are made of braided, PVC-jacketed material that resists chewing and cutting, and also include reinforced entry points to resist separation of the cord from the ear cup. Headsets in each series feature ambient noise-reducing, unidirectional boom microphones that capture a student's verbal response - not their neighbors - making them ideal for language learning and assessment testing purposes. The 1017 Series also offers two models (1017IMT and 1017IMUSB) with inline unidirectional microphones for users who prefer that style. • NeoTech 1025MT (available in July) - Mainstream, mid-weight headset for general purpose classroom usage with mobile devices. 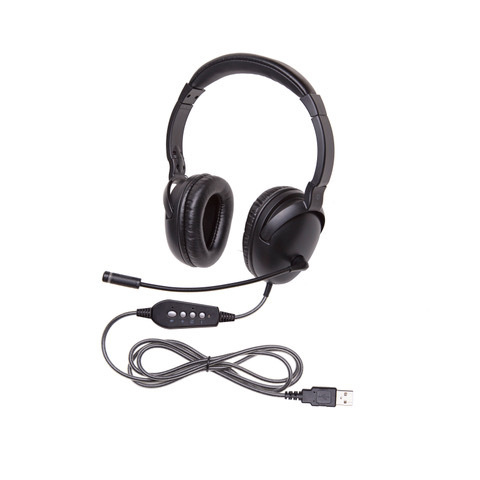 • NeoTech 1025MUSB (available in July) - Mainstream, mid-weight headset for general purpose classroom usage with computers and Chromebooks. • NeoTech Plus 1017MT (available in July) - Versatile, cost-effective workhorse headset for classroom usage with mobile devices. 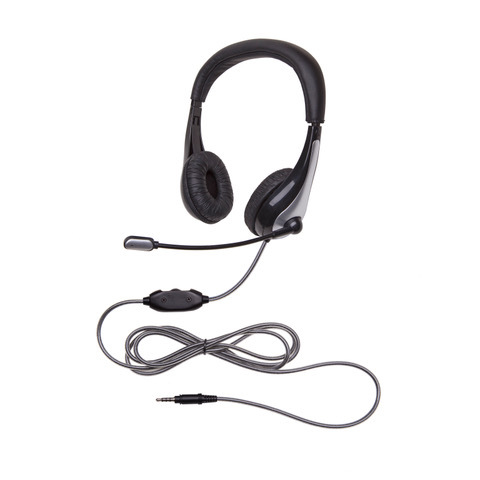 • NeoTech Plus 1017MUSB (available in July) - Versatile, cost effective workhorse headset for classroom usage with computers and Chromebooks. 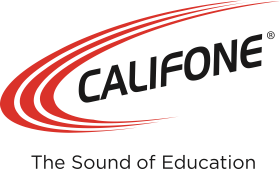 Califone was founded in 1946 and continues to be a leader in the design, development and manufacturing of audio products and technology accessories for use in education. Used by millions of students and educators, the company's offerings include headphones and headsets, listening centers and boomboxes, portable PA systems, and computer peripherals. The solutions from Califone meet the needs of every learning environment-from classrooms to auditoriums. Visit http://www.califone.com to learn more.